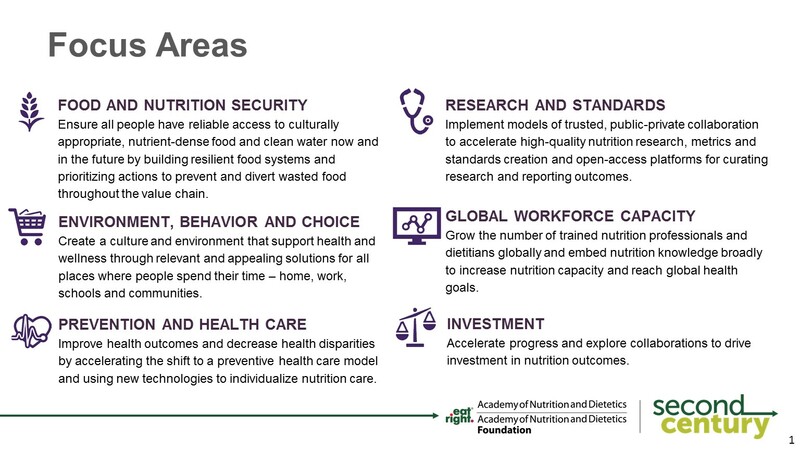 For the past 100 years, the Academy of Nutrition and Dietetics has been dedicated to building a profession that optimizes health through food and nutrition. 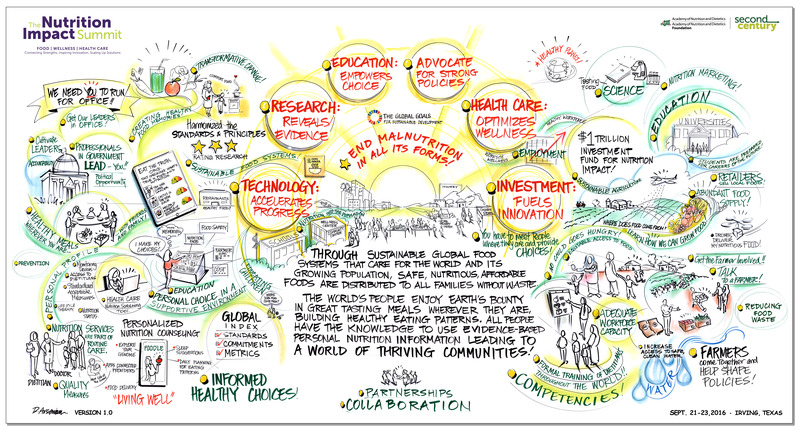 As the Academy approaches its centennial in 2017, we are committed to continuing this mission as well as creating a new vision for our Second Century — a future that focuses on service, collaboration and an emphasis on accelerating progress towards solving the biggest food and nutrition challenges of the 21st century. Watch Academy President Lucille Beseler, MS, RDN, LDN, CDE, welcome members to the Academy’s Second Century and explain how each individual is an integral part of the process in creating this new vision. Read more about the Second Century initiative on the Academy's Foundation website. It is the goal of the Academy to not only keep members informed throughout Second Century initiative, but to part of shaping our future. The Academy is asking members to get involved throughout this process — provide feedback through surveys and key discussions at member meetings, stay engaged and help to create this new vision for the Academy. Below are current resources to help affiliate, DPG and MIG leaders learn and spread the word about the Second Century Initiative. Affiliate may appoint a volunteer to a Second Century liaison to serve as the point person for receiving up-to-date information from the Academy about Second Century. Access a position descritpion to learn more about the role. Email the name of appointed volunteers to affiliate@eatright.org.